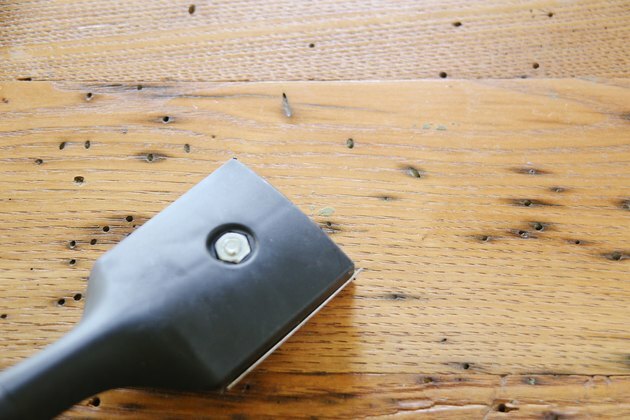 Glue is supposed to stick to things -- so if you get some on your wood furniture, you can't expect to simply wipe it off. 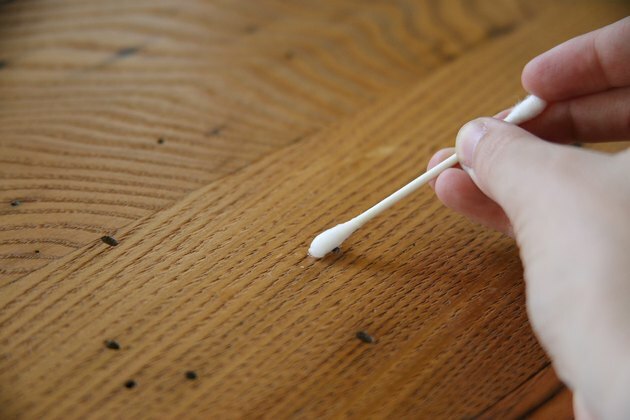 Among the adhesives that can end up on your furniture, cyanoacrylate glue -- or super glue -- is probably the most difficult to remove. Polyvinyl acetate, or carpenter's glue, contact cement and construction adhesive are some other possibilities. It's highly doubtful you'll be able to get any of these adhesives off without some degree of damage to the finish. The key is to minimize that damage so you can make a clean repair. Scrape off dried carpenter's glue, construction adhesive and ceramic tile mastic with a pull scraper or a razor knife. 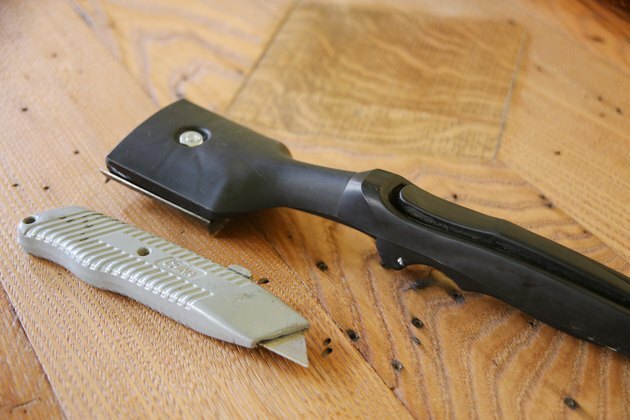 A pull scraper gives you more control than a razor knife and is best for large glue deposits, especially if it has a sharp blade. 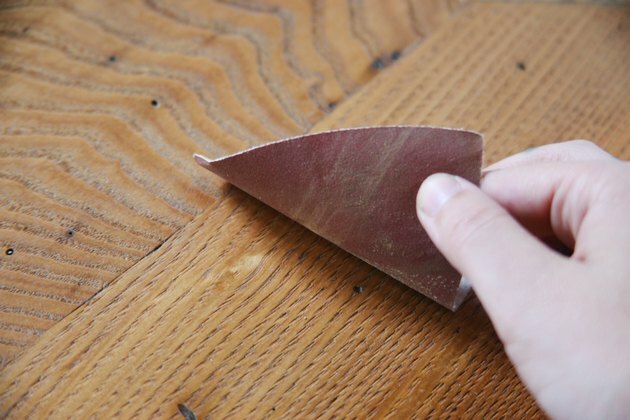 A razor knife is better suited for removing small dabs of dried PVA glue. Just force the blade under the glue spots -- they usually pop off. Draw the pull scraper carefully over the surface of the glue deposit, removing just the top layer. Continue removing the glue in layers until the scraper contacts the finish. You may have to scrape off a layer of finish to completely remove the glue. Work carefully to avoid scraping all the way through to the wood. Sand the area with 320-grit sandpaper after you've removed all the glue. 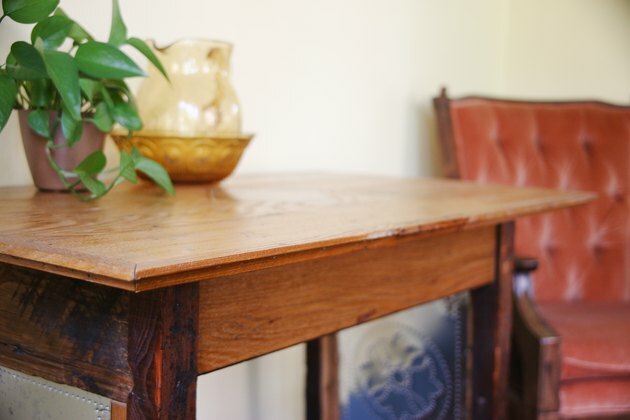 Surface damage to the finish may not be noticeable after you apply a coat of furniture polish; if it seems like you can't mask the damage with polish, apply a fresh coat of finish before you apply polish. Spray new lacquer or polyurethane varnish from an aerosol can. Sand it when it dries, and spray a second coat. Rub dried construction adhesive, ceramic tile mastic and contact cement with a rag moistened with mineral spirits. This weak solvent won't harm the finish and may soften the adhesive enough for you to roll it off with your fingers, but this may take several minutes. 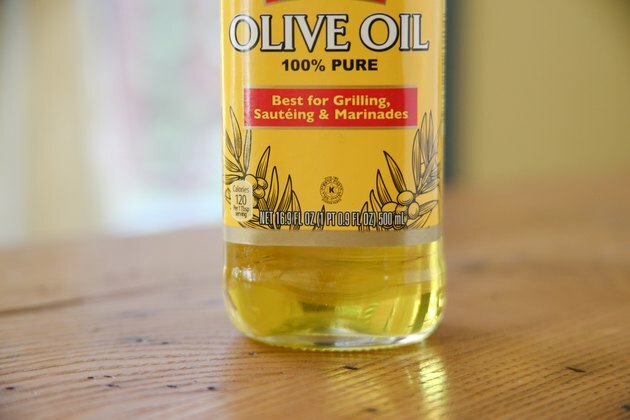 Make a 1-to-1 mixture of mineral spirits and olive oil, and apply the mixture liberally to the glue if you can't soften it by rubbing with mineral spirits. Cover the glue spot with a rag and leave it for several hours. 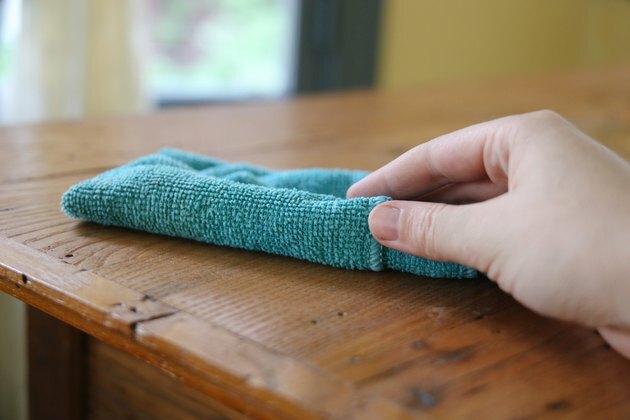 Pull or roll it off with your fingers when it softens. Remove cyanoacrylate glue with acetone. This is a strong solvent, also used as nail polish remover, that will damage most finishes so apply it sparingly. Dab it onto the glue with a cotton swab and rub off the glue when it softens. Sand the finish when it hardens; touch up with two coats of clear coat.